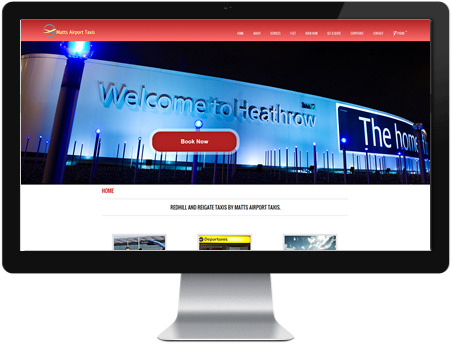 Matts Airport Taxis, are an Airport Taxi Transfer Company and are ideally located to serve your transfers to Gatwick and Heathrow Airports and should always be your first choice for Airport Taxi Transfers. Our Airport Taxi Transfer service is second to none and we operate a range of cars driven by friendly experienced drivers who drive our clients to Airports all over the United Kingdom. Our drivers will always be available to service your travel needs and you should know that you are being transferred by a company that truly values your custom and loyalty. A Local Dedicated Airport Taxi Service. Small Reliable Company that focuses on in advance online Airport Taxi Bookings with “good old fashioned customer service”. Speedy Online Booking with Debit or Credit Cards. Emailed Confirmations.